Say g’day to Australiana, a new range filled with tonnes of fun Aussie-themed accessories and gifts! Featuring the unique illustration work of Andrea Smith, Australiana allows us to witness the beauty of our country emerge through exquisite art…or even your basic household items. 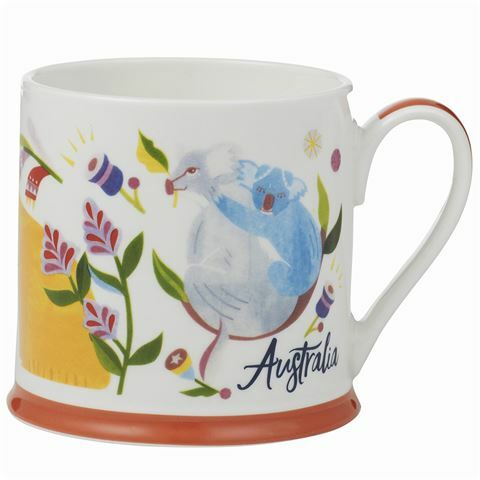 The new Australiana Fauna Mug is the perfect way to inject some colour into your breakfast routine. Crafted from fine bone china, this large mug celebrates the very best of Australian wildlife and features whimsical illustrations of koalas, kangaroos, wombats and more. Vibrant illustrations of Australian wildlife including koalas, kangaroos and more. Large design a sturdy base.